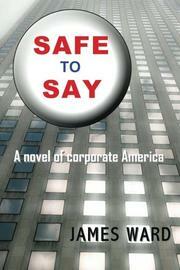 A well-paced, convincing novel about the decline of corporate America during the 1980s era of deregulation. Likable, believable Harmon Wolcott and Riley O’Brien have well-intentioned motives that are warped and twisted by the sheer weight of corporate bureaucracy (not to mention a few character flaws). Their backstories, and others in the book, are strikingly real and humorous, reminiscent of characters and situations portrayed on television series such as The Office and 30 Rock. Wolcott, an up-and-coming manager who analyzes corporate life and his future “the way anthropologists study old bone fragments,” struggles with large-scale bureaucracy, a bloated workforce and his corporation’s social responsibility. “Jurassic Joe,” another life-long employee, who uses wit and humor to avoid any work, provides a counterpoint to Wolcott’s buttoned-down, nose-to-the-grindstone work ethic. As a reward for his efforts, Wolcott wins the opportunity to lead an unlikely team that includes O’Brien, Joe and Caitlin, an uptight district manager. Their high-level project, dubbed “The People Team,” is charged with making paradigm-shifting changes to save the crumbling organization. Their efforts include the quintessential survey, documentation, consultant team and—the pièce de résistance—a single-slide presentation. Ward handles it all with smart dialogue, concise description, a little romance and humor, creating a highly readable story that has a lot to say about the modern-day workplace. Though the story may be overly simplistic for some world-weary corporate managers, and the ending is a bit too tidy, Ward’s novel delivers valuable insight for employers and workers from the boardroom to the copy room. Sharp storytelling and crisp prose keep the pages turning.